Community Cape Town, Western Province + National. 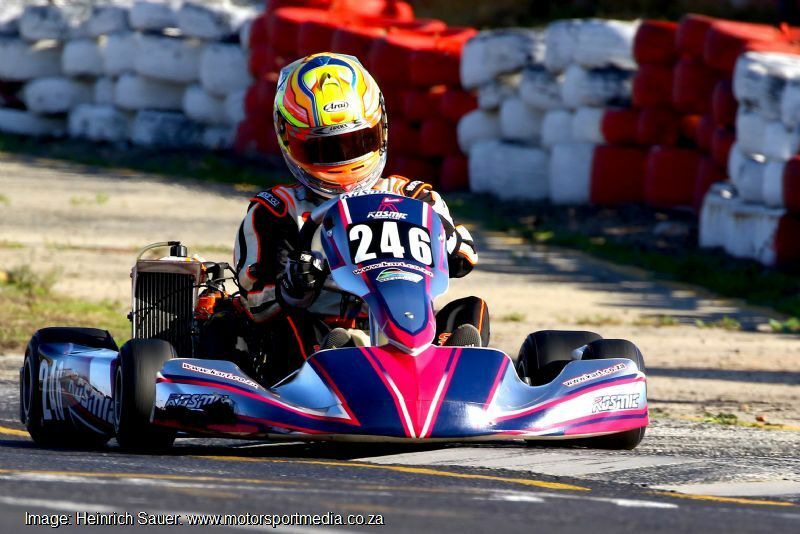 Cape Town’s Killarney Kart Track hosted a double-header of the second round of the national Rok and the mid-season fourth round of the local Western Cape Max Challenge karting championships on Friday and Saturday, with changeable conditions and close racing the name of an action packed weekend. 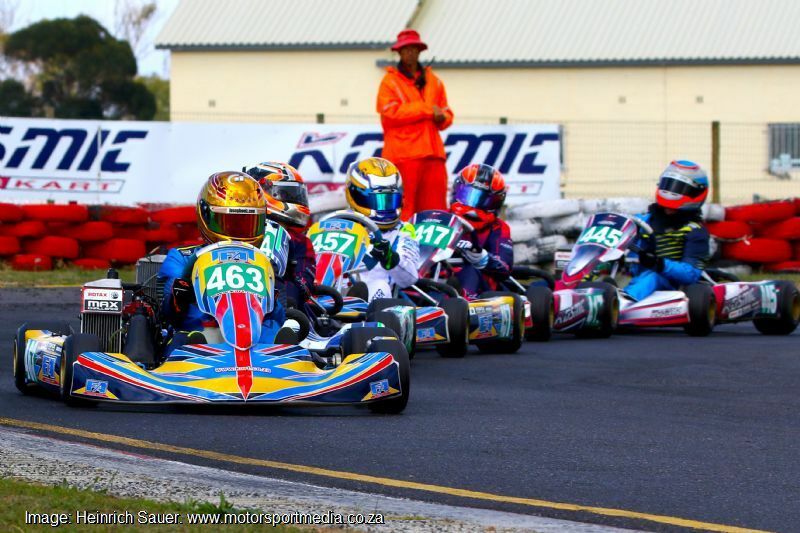 The Rok classes qualified and raced their first heats in cool Cape autumn conditions on Friday afternoon, before the local classes joined the action with qualifying before a full combined raceday on Saturday, where overnight rain left a slick track to challenge the field, before clearing up to yield even more great racing. 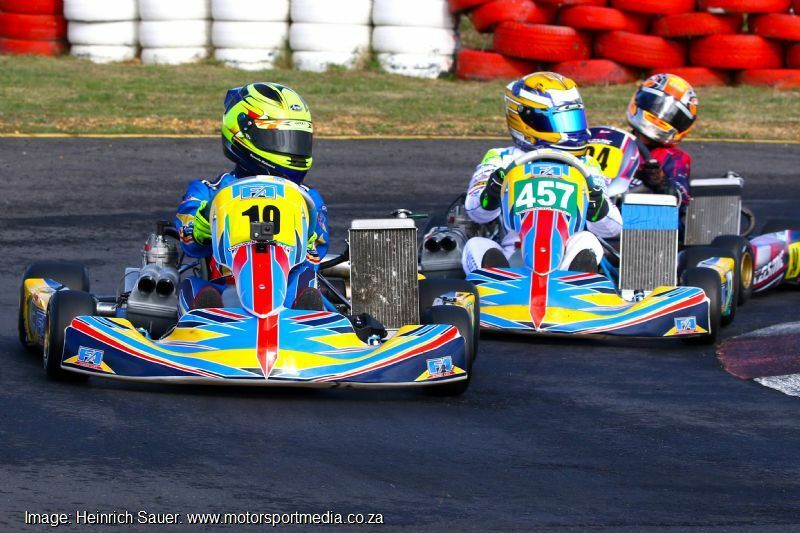 The second round of the MSA South African National under-14 Mini Rok championship topped the bill and it was Jozi visitor Jarrod Waberski who came out on top with two race wins and a third through the weekend, while local lad Lucas Royston delivered an excellent performance to race from 8th to first en route to heat 2 victory. Jozi quintet Josh le Roux, Troy Snyman, pole man Nikolas Roos, KC Ensor-Smith and Kenzo Barnard were next up from local lads Jason MacBeath and Kyle Visser. 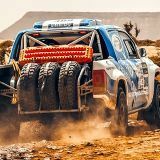 Michele Patrizi followed them home ahead of Jayden Goosen, Matthew Morrell, Tristan Coertze, Luviwe Sambudla, Mandla Mlangeni, Godfrey Malumane and Daniel van Zummeren. 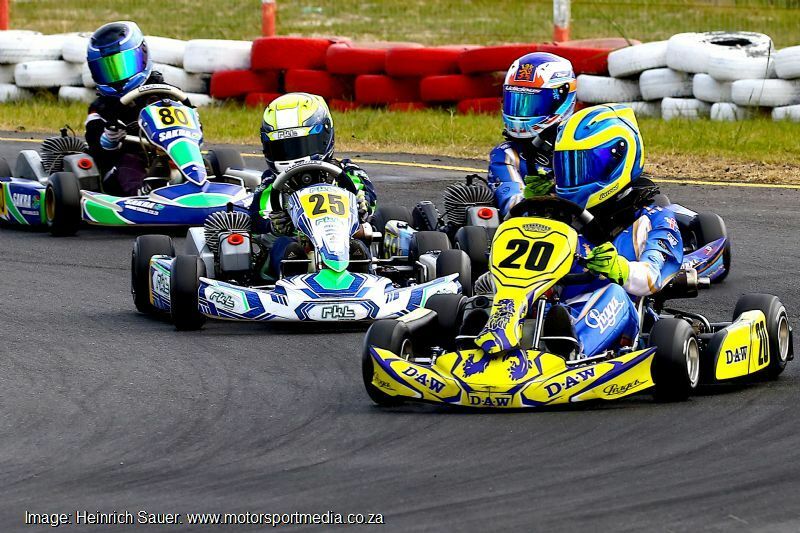 The weekend also counted towards the WP Mini Rok championship, where Royston took the local win from MacBeath, Visser, de Oliveira, Mischa Williams and Joshua Smit. 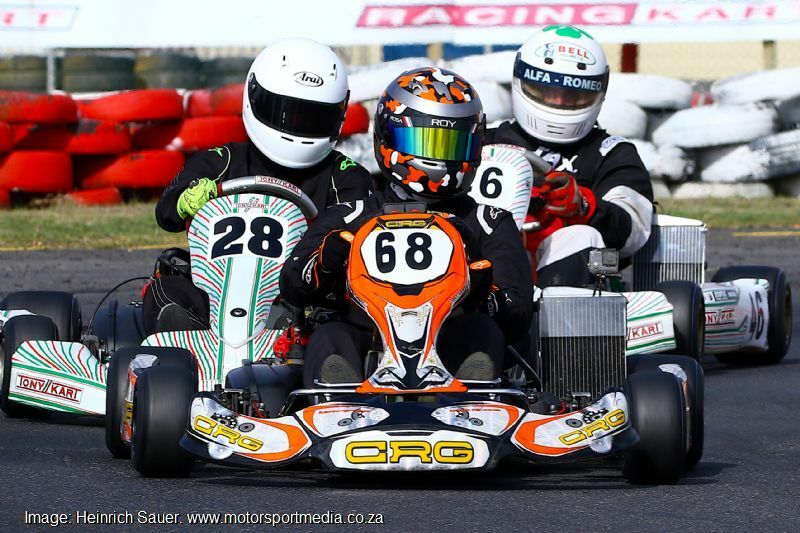 Three other Rok races included the second round of the MSA Academy class for high school age kids and it was Jozi lad Kwanda Mokoena who turned up on top of the podium of the results in spite of not actually winning a race. 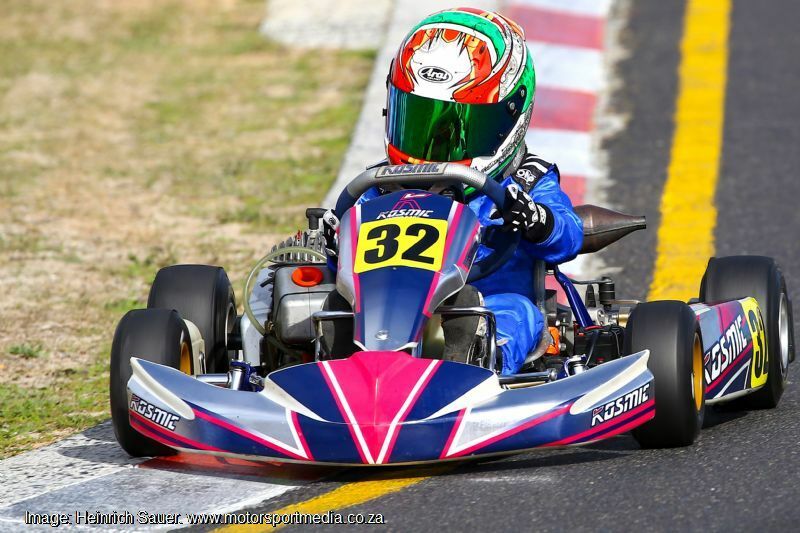 Second placed Cape Town kid Tate Bishop led race 1 but fell right to the back after a final lap incident, but he bounced back to win the final, Jozi lad Leyton Fourie took the race 1 win before hitting trouble in race 2 on his way to third for the day, while local driver Charl Visser won race 2 but hit trouble in the final to take fourth. 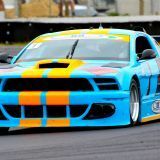 Daniele Patrizi was fifth from Joseph Ellerine with the top six split by just 12 points, while a midfield battle raged all day between Sibo Solomon, Joshua Coertze, Connor Donovan, Aqil Alibhai and Zachary Dufty. Dino Stermin dominated the quick open age group DVS Super Rok class over old local Cape rival Delano Fowler, with Johannesburg duo Blaine Rademeyer and Wayland Wyman next up following a fraught day’s racing in the midfield, while PE duo Chassen Bright and the troubled Bryn High rounded off the top six. 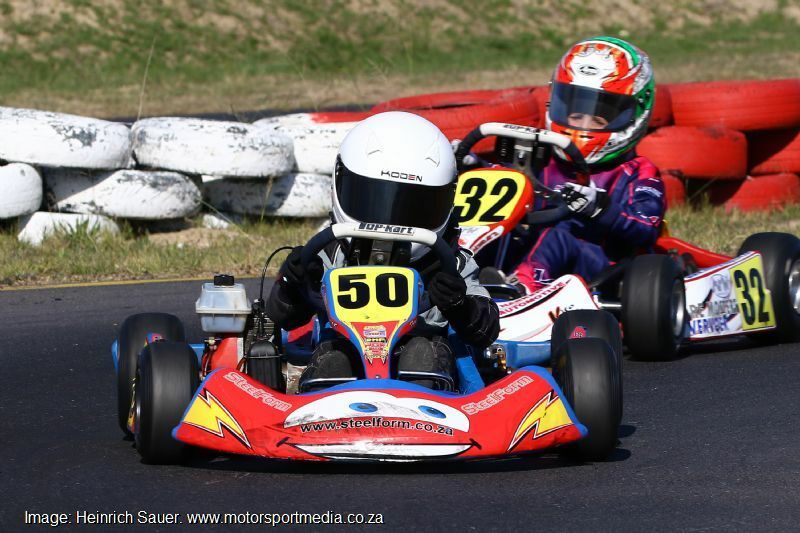 There was elation on the other end of the Rok scale, when local lad, little Luan Mostert not only took his maiden karting victory, but he did so in dominant three-race style as he beat local rival Ian Joubert and Langa Fakude to under-11 Micro Rok victory. 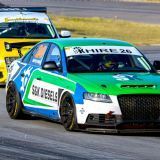 The local open class action was all about Jason Coetzee, who took advantage of his teammate Jurie Swart dropping out of race 1 with gearbox selector trouble to take DD2 victory for the day. 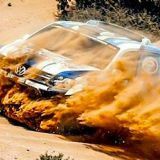 Swart went on to dominate the second and third races, while Coetzee fought Sebastian Boyd, while Boyd took third overall on a tie break over Jarryd Evans. 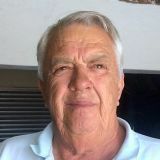 Gary Lennon meanwhile took triple DD2 Masters wins to take an entertaining madala class for the day over Roy Gruer and Ernst Viljoen. 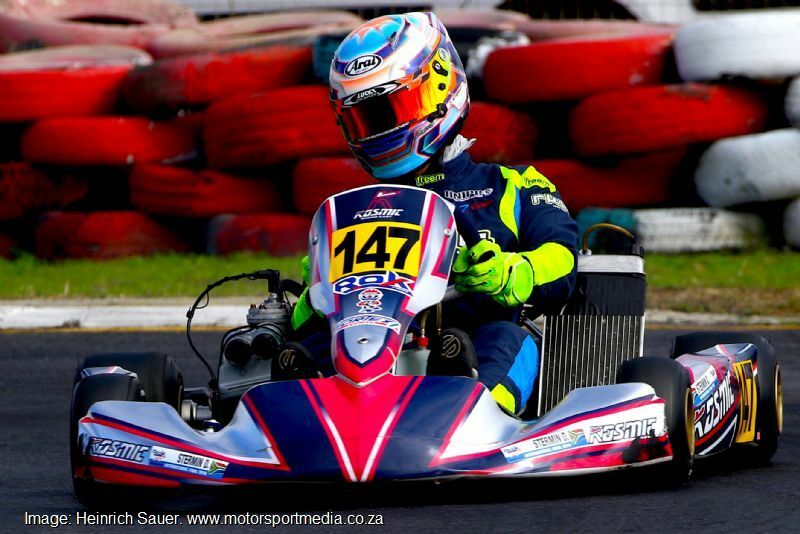 Jason Coetzee made it a double for the day with a triple Senior Max victory over Andrew Rackstraw, who survived a late heat 1 incident with a kart crawling on the race line and a resultant nose cone penalty to beat Storm Lanfear to second. 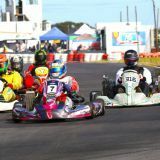 Reece Oellermann was third from the ever-improving Andrew Thomas, with lady karter Jade Lanfear fifth from Jozi visitor Wayland Wyman, who retired after the first race. 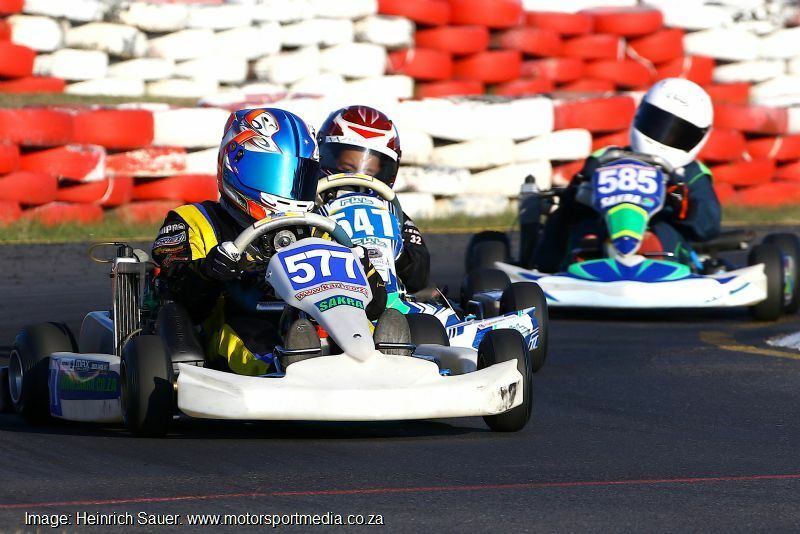 Joseph Oelz enjoyed a fraught dice with Charl Visser and Tate Bishop for the first part of the under-15 high school Junior Max race 1, before clearing off to score a dominant triple victory over Visser, Troy Dolinschek and Bishop. Simon Simpson-Heath fended off Jozi visitor Aqil Alibhai for fifth with Kai van Zijl next up from Luca Wehrli, Denis Joubert, Sibo Solomon and Tristan Galp. 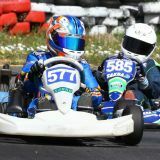 In primary school action, younger Visser brother Kyle won all three under-13 Mini Max races after fighting off second placed Joaquin de Oliveira in race 2, while Mikhail Fernandez took the final race second for third on the day ahead of Andre and Kyle le Riche and Luke Oellerman. 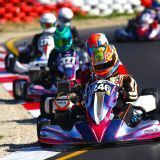 Reese Koorzen was another driver to win all three of his races of the day in under-11 Micro Max, but not without first fighting off a feisty Reza Levy each time. 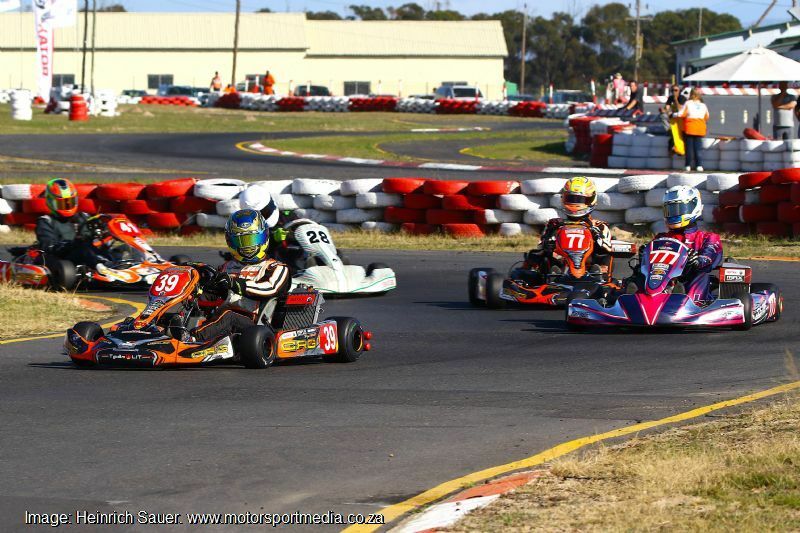 Ethan Stier beat Paul Malcolm, Joshua Smit and Mischa Williams to third, as Julian Booysen, Ethan Lennon and Conner Rensburg kept a watching brief. 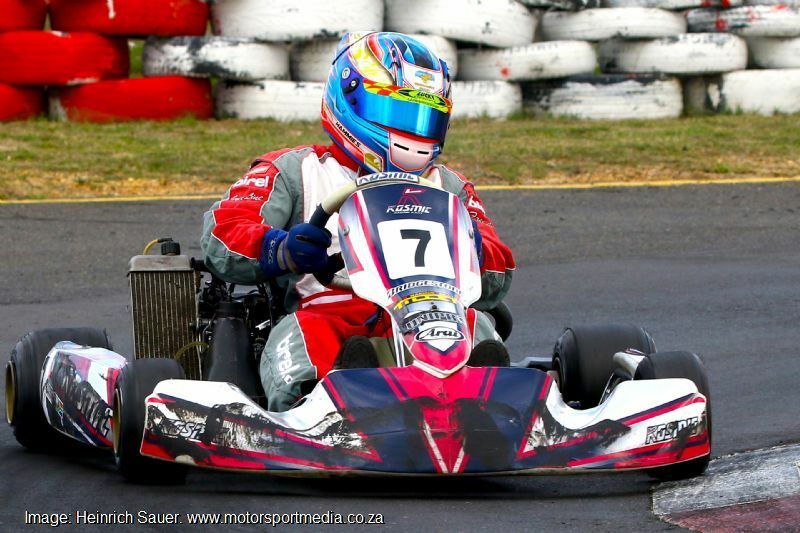 Ian Joubert kept the triple-win trend alive in under-8 Cadets, beating Rayan Karriem and Luan Mostert to the top step of the podium, with Matthew Smit taking fourth on a count-back over Eric Norman. 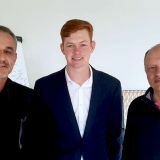 Johan Hamman closed off the day’s action with a two win to one Cape Clubmans victory over race 3 winner Harry Georgiou, while Jared Jordan continued with his steady improvement of late en route top third. 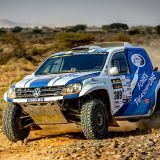 Andre Steenkamp ended up on top of a tight midfield spat over Ryan Buda, Michael Jordan and Dylan Dawes with Robert Peche next home ahead of the returning Isabelle Fowler and Rory d’Arcy. 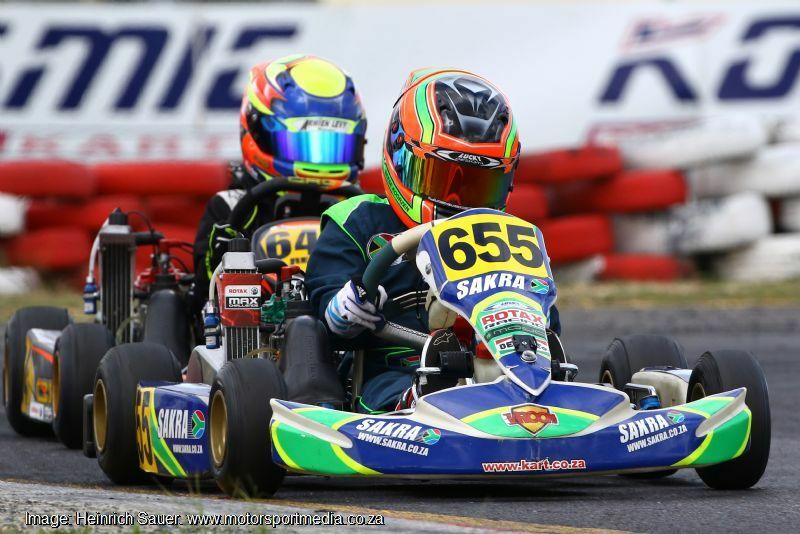 The Rok karting circus now heads to Zwartkops in Pretoria for its third round 2 June, while the WP championships resume with round 5 at the end of July before the Rotax Max Challenge national championship visits Cape Town on 11 August.